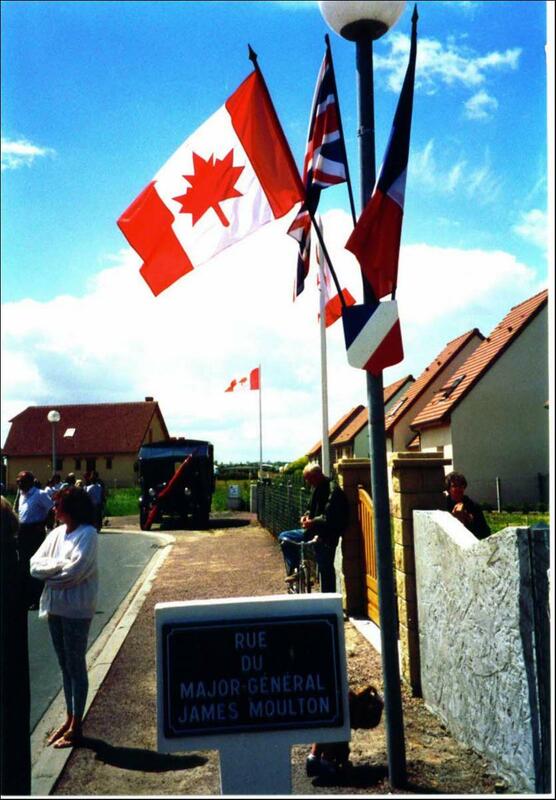 Notes: The Plaque was erected when the road was renamed in 1994 during the 50th Anniversary of D-Day ceremonies. Inscription: Rue du Major General James Moulton. ( Major General Moulton commanded, as Lt. Colonel, 48 Commando RM during the D-Day Landings on the left flank of Juno. He was wounded by mortar fragments but continued to assemble his men before they advanced inland ).